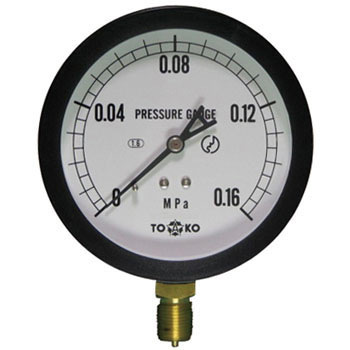 Select pressure range 2 times as much as measuring pressure. I have purchased it before, as the pressure gauge broke I worked with substitute parts, but because it is small and small Because it is hard to see, I bought it this time. Because it is big and easy to see, the work is easy to do. This review is about item#9490853. The display of numbers is also large and easy to see. I think whether the texture is also good. This review is about item#9490871. Visibility is good as the face is large and clear. This review is about item#9490817. It is very convenient because it is big and easy to see. And it is cheap because price is also cheap. This review is about item#9490783. I installed (exchanged) at a height of 3 m from the ground but I was satisfied with good visibility. As always, I was left to the trader, but I exchanged myself and I was able to reduce expenses. I selected it in the net catalog, I understood the size, design, specifications very well. This month, there was on-site inspection of the administration and it was saved because we could exchange in advance. Simple drip-proof ... installed outside, was it okay with this? For the first time, amateur I searched ... Knowledge-free I was able to select Net catalog easy to understand It was partly corresponded with old parts, installation completed. This review is about item#09490826.